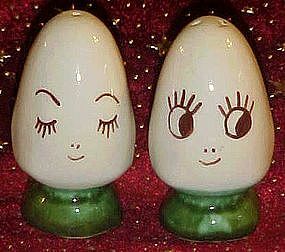 Adorable vitage set of egg head shakers with the most adorable little faces. Hand painted underglaze and measures 3 1/4" tall. Perfect condition but no stoppers.